The market in early 2019 began appreciating in a seasonally normal pattern but has now leveled off. Today I want for us to take a quick look at the seasonal patterns which tend to be present for houses selling in the city of San Jose over the course of a year. Please note that the pattern can be similar – but the depth or severity of the pattern can vary quite dramatically year to year, or between one location or price point and another. I really like taking a multi-year view (which almost no one seems to do, it is nearly always only year over year) to get a broader sense of what is normal – or at least what appears to be a regular pattern. 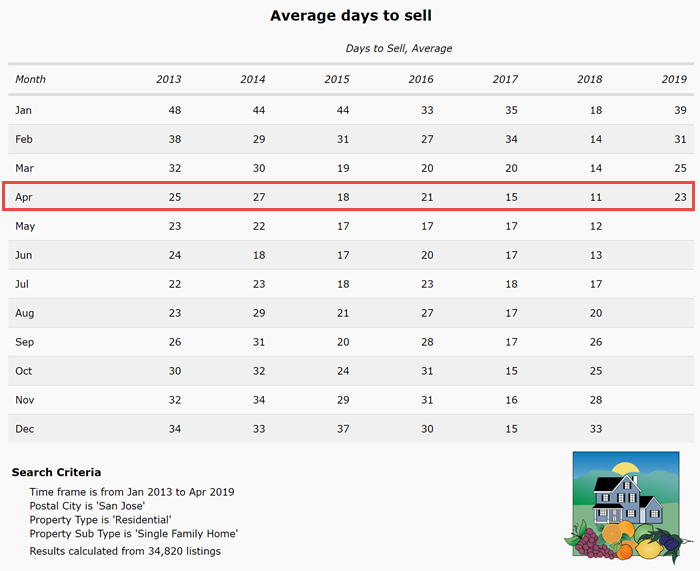 Compared to 2015 to 2018, San Jose’s current average days to sell of 23 seems quite high. Go back a little more to 2013 and 2014, though, and it’s not outrageous at all. Or Google what the “average days to sell” is like in most of the U.S. and you’ll find that this is not a high number at all. Is it harder to sell a house in San Jose now than a year or two ago? Yes, absolutely! Is it a buyer’s market? No! It is becoming more balanced, though. I would call this a healthy market. Homes which are priced well, marketed well, easy enough to see and so on are selling in well under a month. That’s a good market. In 3/4 of the market, the pattern is very similar. Are sellers spying on buyers? In recent years, we have seen a boom in smart home technology with an emphasis on safety, energy efficiency, and entertainment. Security cameras are now seemingly ubiquitous. With so much technology in our homes, it’s fair to ask if it’s being used when homes are on the market. Are sellers spying on buyers? Some are. And sometimes their real estate agents don’t even know about it, and they are being surveilled, too. 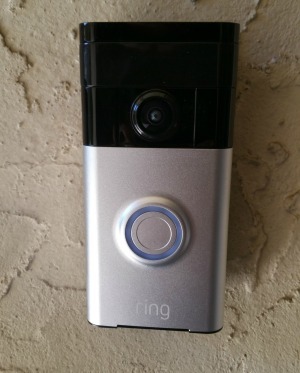 On the outside of the house, you may notice a smart doorbell with a camera, such as a Ring doorbell. These are motion activated, and the owner of the device can both see and hear whatever is triggering the Ring to begin recording. If you are on the front porch and speaking in front of one of these devices, you should expect that what you say and do is being recorded. Or you may notice security cameras mounted outside (they may or may not have sound recording abilities). Baby monitors have been around for awhile, and of course they pick up audio as well as video. More recently we’ve seen the advent of “NannyCams” so that parents can spy on their childcare workers. They can just as easily spy on any visitors to their home, of course. What is amazing to me is how tiny and cheap some of these video cameras are. I’ve seen some advertised for as little as $40, and some are disguised as other appliances or devices, such as a clock radio. Bottom line is this: if you are in a home that’s for sale, assume that everything you say and do can be seen and heard. As a home buyer, it’s best to keep your feedback on the home to yourself until you are far enough away (perhaps on the sidewalk?) so that your conversation is truly private. For those of us who are Realtors, working in real estate, we are also pulling back on comments in the house or condo for the same reason. We don’t want what we’ve said or expressed to be used against us later. 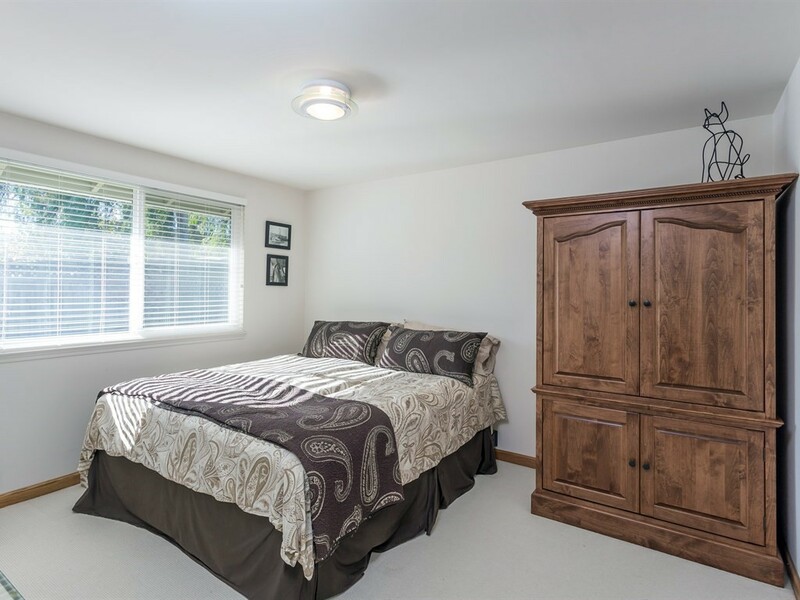 Why does it matter if the bedroom windows are small or high? 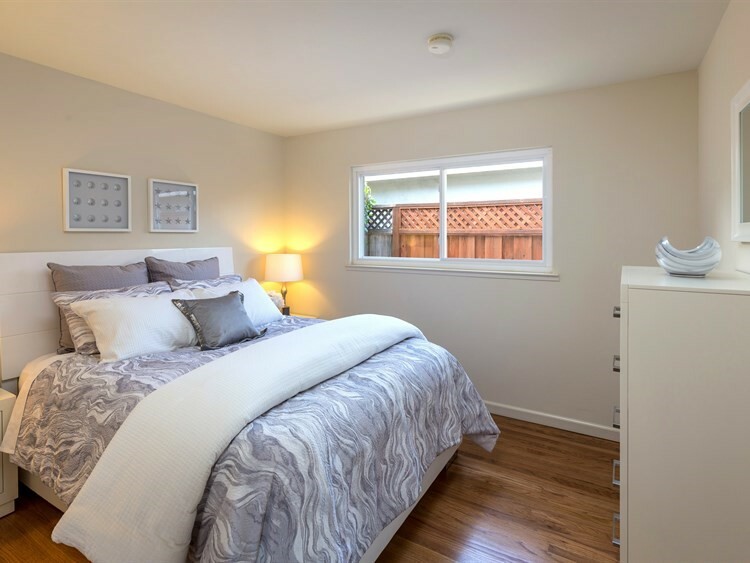 If you are buying or selling an older ranch style house or historic home in Silicon Valley, there’s a good chance that original bedroom windows may be smaller or higher than your home inspector might like. What is the big deal with the height or size of the windows? The inspection report may mention ingress and egress. What is that all about? When windows are too high, kids, and perhaps adults, cannot get out through them. And no matter how low or high, if the windows are too small, emergency personnel cannot enter through them. How big and how low do the windows need to be? There are varied requirements, and exceptions, depending on whether the home is new construction or a remodel. 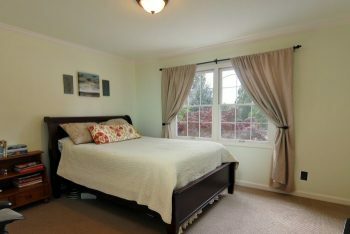 Additionally, there are different rules for basements and 2nd story bedroom windows. Cities and towns each have their own codes, too. Your best bet is to check with your particular town or city to see what you must do if remodeling or replacing your windows. There are additional requirements, though – please see the link at the bottom of this article to view the details. When remodeling your home and switching from single pane to dual pane windows, many people will be tempted to use the same sized windows with the new replacement set in order to save money, and in many areas, skip the need for permits and finals by not disturbing the stucco. But rather than target the least expensive way to upgrade your windows, I’d like to suggest making safety a priority. Upgrade not just your home’s energy efficiency, but its safety too. Ranch style house with original casement windows – impossible for ingress by emergency personnel. Next is a ranch style house in which the windows have been replaced, but they are fairly high off the ground and the openings are not big enough for a firefighter to get in. And a ranch style house with newer and enlarged bedroom windows – low to the ground and bigger openings for fire escape or rescue. Bedroom windows have been replaced and enlarged for safety. Visiting an open house? What to say, and what not to say, to the listing agent if you really want the property. 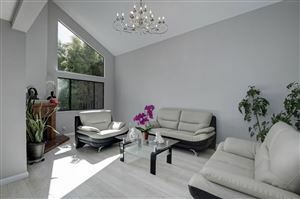 Silicon Valley real estate professionals will usually do open houses while marketing their listings, and at these events, they have the opportunity to meet new people who may be interested in the property. The potential home buyers who truly want the condo, townhouse or house would do well to know that in a hot seller’s market, their behavior at the open house could influence the ultimate outcome as to whether or not they will be the successful bidders when it comes time to present the contracts. Here, then, are a few tips for aspiring home owners – a few thoughts, Dos and Don’ts on how to help move the odds into your favor when meeting the listing agent or a colleague of the listing agent’s when visiting the home. Think of the open house as not just your opportunity to check out the property, but also for the seller’s agent to check you out. Many people may want the house, but only one buyer or couple will get it. Make a positive impression. Do either remove your shoes or at least ask if you ought to do so. (Or come with your own shoe covers.) Usually the property will be clean and the sellers and their Realtor will want it to remain that way. Do say hello to the real estate licensee at the home and introduce yourself with your first or full name. If you are working with an agent, tell him or her so. Often you will be seen as a more serious home buyer because of that. Many agents will ask you to “sign in”. If so, do that but also make a note there of who your agent is (assuming that you have a buyer’s agent) since often these sign in sheets will be used for follow up and you want to be transparent that you already have your own agent. If you don’t, by the way, you should! If there’s no sign in sheet, do tell the agent that you have a Realtor so that he or she knows this upfront. Need a Realtor? Want the listing agent? Careful there…. If you love the house but do not yet have your own real estate agent, be careful about the way in which you ask the listing agent if he or she can represent you (if that is what you want – which I do not recommend, see related reading notes below*). Sometimes total strangers will approach the person holding the house open and say things that imply that they do not value the agent’s expertise at all – that they believe that the agent is only an order taker who will complete the paperwork and get a huge commission, of which the buyer wants a slice. This is not a heart-warming comment to make and in fact is pretty insulting. Be respectful. Ask good questions but be careful about what you say regarding the house. Potential buyers who walk through the house insulting it loudly (I have seen it happen) will irritate the listing agent because that kind of behavior is just unnecessary and nasty. Even asking questions with a really negative edge or tone will make the Realtor wonder if you are “difficult” to deal with. Keep it pleasant. Calling an updated home a “fixer” can be off-putting, for instance. Want to take photos or video? ASK. Do not presume it’s ok to start taping or shooting pictures without permission. Kids: along the same lines of respect: do keep your kids with you and do not let them run wild or “play” rambunctiously. Do not let them go onto beds or jump on furniture. It is ok to look in closets or to open kitchen cabinets, but no one should be opening dresser drawers or medicine cabinets. Love the home? Look serious. If you are there a very long time, the agent will believe that you are serious about the house. If you come back the next day with more people, the agent will believe you’re serious about the house. If you ask some good, thoughtful questions and even take notes, the agent will believe you’re serious about the house. All of these things will get you noticed and put you on the radar. If, however, you slide in and out unnoticed, and you never chat with the Realtor there, you will probably not be remembered unless the open house was exceedingly quiet. With multiple offers, it is best to be perceived as someone serious – so best to be noticed in a positive light. Do not dominate the listing agent’s time. It’s good to engage with pleasant conversation and thoughtful inquiries about the house, but please remember that this person must try to connect with everyone there and make sure that others’ questions are answered too. When it’s time to leave, thank the Realtor holding the open house and say goodbye. Don’t arrive once the open house is scheduled to be closed. Realtors sometimes have appointments after the open house and don’t want to rush you, but getting there after it should be closed puts them in a bad position. How’s the Saratoga California real estate market? This is a fairly comprehensive article on the Saratoga real estate market that will include the live statistics from Altos Research for listed properties (not closed) in Saratoga CA 95070 plus the closed sale data from the RE Report for last month in Saratoga 95070. Additionally, I’ll include the months of inventory, or absorption rate, for the single family home market that I’ve gathered from the MLS myself. First, a quick glance at the Altos Research market profile for a quick summary of the market conditions. Altos uses LIST prices, not sold prices, for this chart and the others, below. Next, let’s turn to the closed sales from last month. This time we’re using data from a subscription service of mine to the RE Report. Here are the real estate sales statistics for closed sales last month among houses and duet homes (if there are any) in the 95070 zip code (click on link to read the full Saratoga Real Estate Report for houses). Bottom line is that most livable homes in Saratoga will run between $2 and $3 million if they are mid sized (2000-3000 SF) and in the best schools area (Saratoga or Cupertino). Homes in the Campbell schools area, which have very strong elementary and middle schools, are very rare and generally more affordable, closer to $1.5, but depending on size, condition, and location they can be significantly higher. Prices are down year over year, but up from last month for both the median and average sale price. Sales area up, pending sales are up. the sale price to list price ratio is up – everything is improved over January 2019. But compared to a year ago, when the market was “white hot” in Silicon Valley, prices are off, sales are off, etc. Looks to me like Saratoga’s housing market is heading into a spring warm up pattern. Today we’re looking at the real estate market for houses in some of the “west valley” communities along the base of the Santa Cruz Mountains – areas where schools are good, crime is low, residents enjoy scenic views of the hills (or of the valley from the hills, depending on the location) and overall, a highly educated population not too far from Highway 85. 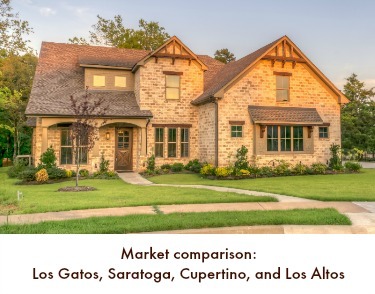 This will be a real estate market comparison for Los Gatos, Saratoga, Cupertino, and Los Altos. Of the four municipalities, three are really very similar to each other in several regards. Cupertino has the largest population – about 61,000 people – but Los Altos, Los Gatos and Saratoga are all similarly sized, somewhere between 31,000 residents. The latter three also enjoy a traditional “downtown” area which is popular with pedestrians, bicyclists and motorists alike. 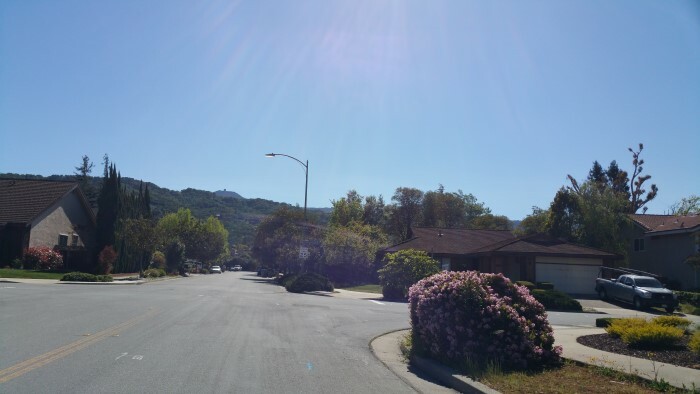 (Monte Sereno has 4,000 residents, which is so small that the statistics are very easily thrown from month to month, so it is omitted in this quick study.) Of the four, Cupertino, then, is the least similar due to size and lack of a central downtown area for now. This may feel different once the Vallco Mall is redeveloped. We’ll take a quick look at these areas now in terms of the real estate market trends and statistics for each area, considering just “class 1” (houses and duet homes). The charts used below are from Altos Research, to which I have a subscription, and they will be automatically updated each week. Please note: the Los Gatos data is probably a little artificially low as it will include all 3 zip codes, meaning also the Los Gatos Mountains, which are quite a bit more affordable than the areas “in town”. Cupertino and Los Gatos appear to be more similarly priced that Saratoga and Los Altos, but this statistic only features the median list price, not how much square footage that price will buy. It is interesting to see that the median list price in Saratoga has fallen below that of Los Altos, when they were reversed in the summer of 2018. From this one data point, we cannot tell if all homes are similar, or if only homes in a particular pricing band are getting listed. Please note that the pattern for all but Los Altos seem to be similar with a rise and then a large dip. Los Altos, though, has smaller fluctuations than the other three. Selling your Silicon Valley Home? Fix it first! Selling your Silicon Valley home this year? At the top of your to do list should be decluttering and fixing the home and yard. These basics are extremely important because they give home buyers confidence, and confident buyers write stronger offers with higher prices. When you do the work upfront, your future home buyers will be far more comfortable with an As Is sale, and you are more likely to get top dollar for your home. The first and most important thing if you’ll be Selling your Silicon Valley home is to go through your property – both interior and exterior – and get everything into good working order. This may seem intuitively obvious but it doesn’t always happen. Once I assisted some buyers with a home in which one of the bathrooms was not fully usable. The owners just used other bathrooms but to the buyers it raised an enormous red flag and a ton of questions: when did it break? why didn’t you fix it? what’s the cost? are the sellers just hiding something? This is a typical reaction when there’s deferred maintenance, particularly in a kitchen or bathroom. It happens in condos, townhouses, single family homes and even luxury homes. But if you’re selling, don’t do it: get your repairs done first and foremost. Grab a clipboard or notepad, a paper and pen and walk around the exterior of your home. Look for things which don’t work, need cleaning or otherwise need repair. Is the house dirty or dusty? Consider power washing (close to when your home will go on the market). Are there stucco cracks or wood damage to the outside of the home (siding or under the eaves)? How are the sidewalk, the walkways, patio, or deck? Look for trip hazards. Exterior lighting – do the lights come on as expected? Sprinklers – are they working as needed? Are your downspouts extended so that water flows away from your home when it rains? Are your gutters cleaned out? Lawn and landscaping: is there a need for re-seeding, planting annuals? Are the trees and bushes in need of a trim? You do not want trees hanging over the roof for many reasons, and bushes and other vegetation should not obscure windows as you want as much natural light to flow into the home as possible. This is going to sound a little harsh, but it is true. Sellers: some, perhaps many of the things which you think are huge selling points are not important at all to today’s home buyers. Most Silicon Valley house hunters do not care about your wet bar. They care even less about your expensive wallpaper, or your heavy 1970s era curtains, which they probably hate. In fact, many of the improvements you made when personalizing the home for yourself may have cost you a lot of money, but many California home buyers either won’t like them at all or even find them to be a negative. That is often the case with wet bars! 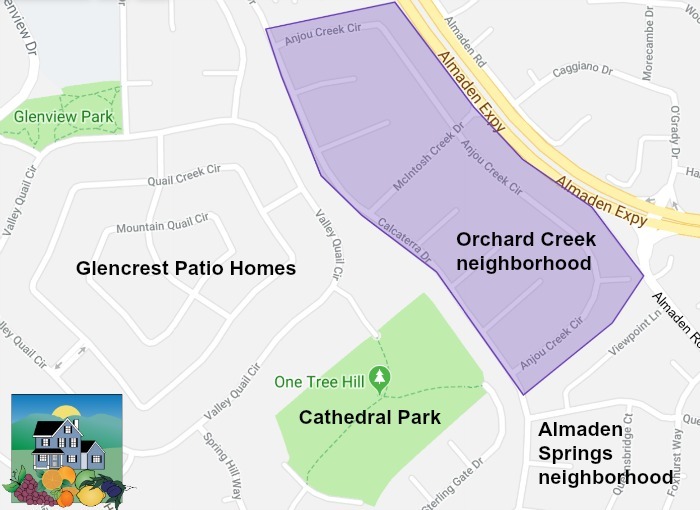 A pretty neighborhood with Almaden Valley’s best schools, Orchard Creek includes 179 comfortably sized single family homes on good sized lots. Many have been updated or remodeled over the years, and some expanded. The neighborhood has gently winding streets and is generally very well kept up. 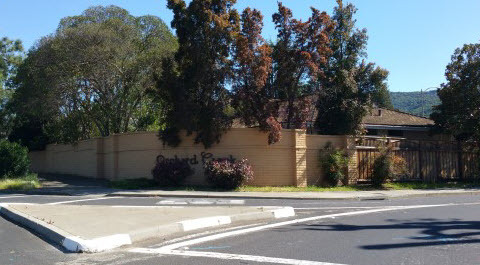 The Orchard Creek neighborhood is in San Jose, 95120, in the scenic Almaden Valley. It is located between Calcaterra Creek to the west and Almaden Expressway to the east, a little north of the split between Almaden Expressway and Almaden Road. 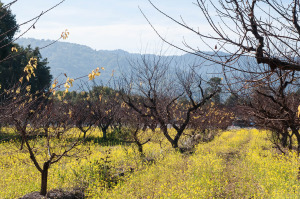 It sits adjacent to the Glencrest area to the west, Cathedral Oaks Park on the southwest, Almaden Springs to the south, and the expressway to the east. Streets include Amur Creek, Anjou Crek, Bartlett Creek, Calcaterra, Casaba Creek, Macintosh Creek, and Pippin Creek. For the truly curious, this is tract number 5436. The public schools include Williams Elementary, Bret Harte Middle, and Leland High. What are homes like in Orchard Creek? What can you buy in Cambrian for about $1.25 million? Silicon Valley home prices are sky high. The median sale price of houses in Santa Clara County is about 1.3 million, and the average is about $1,515,000. Would you be able to buy a house in Cambrian for that median sale price, or a little lower? Cambrian offers good schools, a reasonable commute to places like Apple in Cupertino, and a nice location near Los Gatos and Campbell with lower real estate prices than those two areas. For that reason, it’s become a magnet for smart home buyers over the last 20 years. 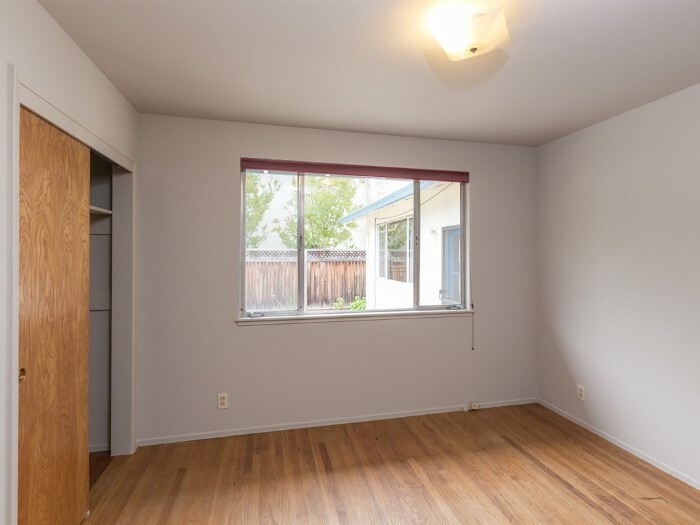 If you have the budget for an median price Santa Clara County home, how far would it go in Cambrian? 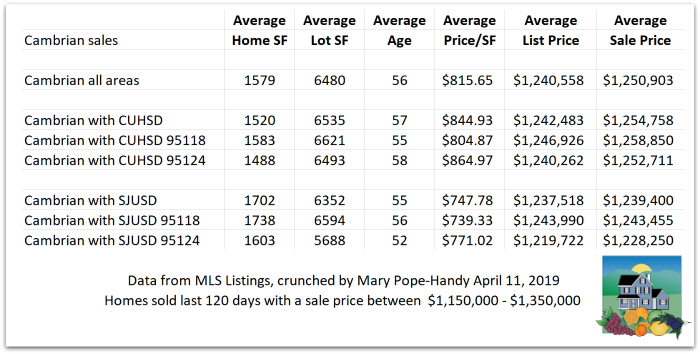 Here’s the data, pulled this week from MLSListings, to answer that question. For the charts below: CUHSD refers to Campbell Union High School District, and SJUSD is San Jose Unified School District. Homes in 95118 tend to be younger and bigger than those in 95124, but the 95124 area is generally preferred as the schools are usually better (Union or Cambrian Elementary Districts and Campbell Union High School District vs San Jose Unified schools, though some of these are quite good, too) and 95124 is closer to Campbell and Los Gatos. However, if someone is commuting to downtown San Jose, 95118 would be more convenient. The most expensive homes tend to be in 95124 with CUHSD. One caveat to this data is the quantity of results – Cambrian in the SJUSD has far fewer sales than CUHSD, and sometimes can be so low the data is unreliable. The smallest inventory for one of these categories this week was 7 in the SJUSD 95124 area. What’s selling in Cambrian now? Browse the listings of homes for sale, and feel free to save a search to get updated automatically if you like.